CLIA Waived tests are drug tests that have been approved for testing (waived) by CLIA (Clinical Laboratory Improvement Amendment). Waived tests have been proved to be easy to use with easy to read results. In fact, they are so easy a third grader can use them! Not only are these tests easy to use they are also just as reliable. 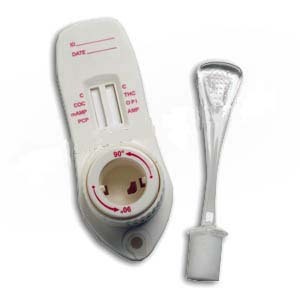 Because of these factors, CLIA Waved tests are quite extensively used in doctor’s offices, clinics and even in homes. There is currently a fairly large list of CLIA Waived tests available on the market. These include the urine E-Z Split Integrated Drug Test Cup, which comes in a 5 panel configuration. There is also an extensive line of human urine, available in the 3 panel, 4 panel, 5 panel and 10 panel assay.